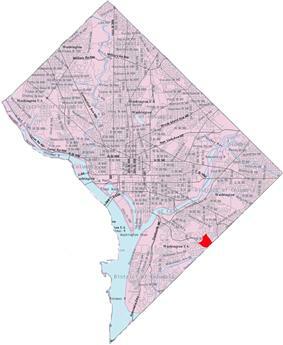 Garfield Heights is a residential neighborhood in Maryland. Garfield Heights contains both apartment units and single-family detached houses. Garfield Heights has gone through a wave of physical renovation and an increase in property values since 2006, along with an influx of wealthier residents. Rental apartment buildings throughout the quiet neighborhood have been converted to luxury style condominiums. Recently, Garfield Heights has emerged as one of Southeast's up-and-coming neighborhoods. Garfield Heights is bounded by Alabama Avenue to the west, Suitland Parkway to the southwest, Southern Avenue to the southeast, and Naylor Road to the northeast. Also see article on Anacostia.